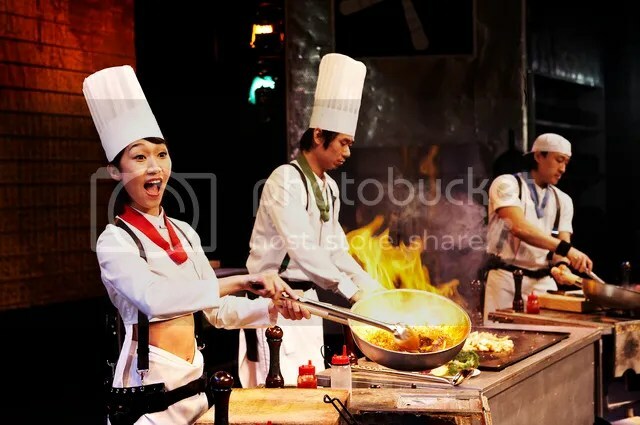 As shared earlier, come June, NANTA (Cookin’) will be at the Resorts World Theatre. The Fifth Parlour caught up with the casts to get to know more about the show. Just like any other shows, there tend to be some challenges. For the casts, they are worried that there is no chemistry between them and the audience. Chemistry is key for this show because the performance requires a lot of audience interaction. Hence, if they are unable to connect with the audience, they will need to put extra effort on top of trying to focus on their individual acts. It is not an easy feat to do that especially as it is a non verbal musical. However, I am sure that they are able to do it well since the musical has been around since the 90s and is considered the longest running show in Korean history. Not only popular in their own country, Korea, this musical has spread its wings to other countries including Singapore. The musical also received the Best Performance award when they made international debut at the 1999 Edinburgh Festival Fringe. Having toured around the world, the casts were exposed to different environment and culture. Recalling one of their unforgettable moments, it during a performance in Brazil where they had to perform in a venue that was located in the highlands. Since it is a non verbal musical, they had to put extra energy in every action. As the energy increases, the oxygen level decreases! When they went backstage, they had to breathe into oxygen tanks. The team’s dedication won over the audiences and they received a standing ovation. Dedication indeed. So what can we expect from the show next month? The cast promised that audience will be wowed by the music, magic and mayhem happening on stage with tons of action and fun. 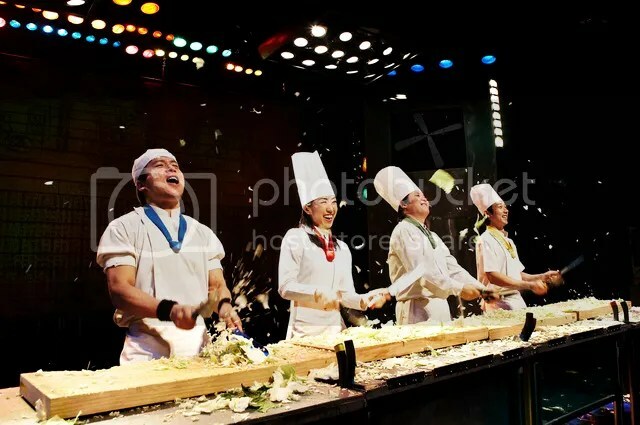 Not only that, audience can expect to get a sneak peak of behind the scene of a group of chefs preparing for a Korean wedding reception. Get ready your eyes so that you are able to hear the Korean traditional percussions (Samulnori) and western music rhythms. Lucky audience membet will be called on stage to join the cast and help them in the wedding preparations. Hopefully, the person will be helping instead of hindering the preparations. Still do not get the idea of this show? Let me put in simple terms and use food as an example. Imagine a gigantic salad. A perfect salad will have a variety of ingredients hence for the musical to be perfect there needs to be a mixture of rhythm, beats, dynamic action, comedy and energy. Sounds like a perfect recipe for the musical. I am already so excited and eager for this musical. If you have yet to get your tickets, head over to SISTIC to purchase it. We are just a week away from the musical! Stay tuned to the The Fifth Parlour for the review of the show! Thank you NANTA (Cookin’) for the interview and Tessa for coordinating the interview.